Disclosure: This post was written in partnership with Degusta Box; all opinions and stories are 100% my own. 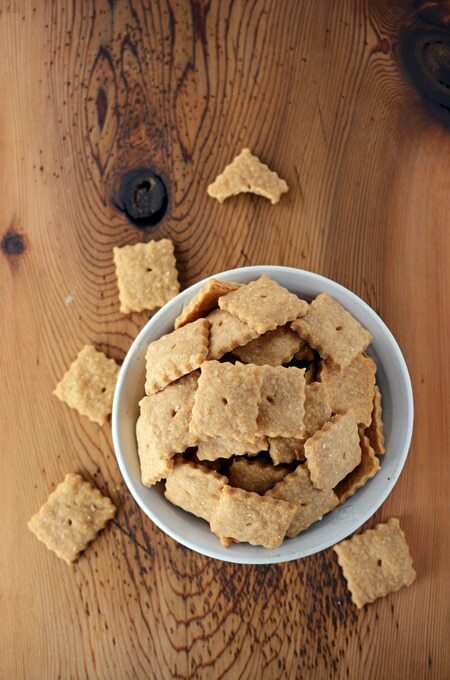 I love baking from scratch and also enjoy looking for ways to make homemade pantry staples, like these Homemade Cheddar Cheese Crackers. These squares of cheesy goodness are full of real cheese, and you’ll taste it! There is no comparison to those processed cheese crackers you’ll get at the grocery store. They aren’t bright orange like those premade versions but I don’t mind that. 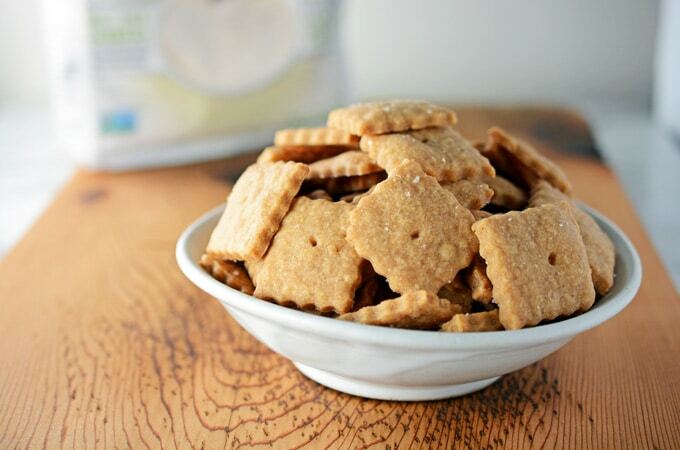 It just reminds me that these tasty cheese crackers are homemade and are much better for me than those premade ones. 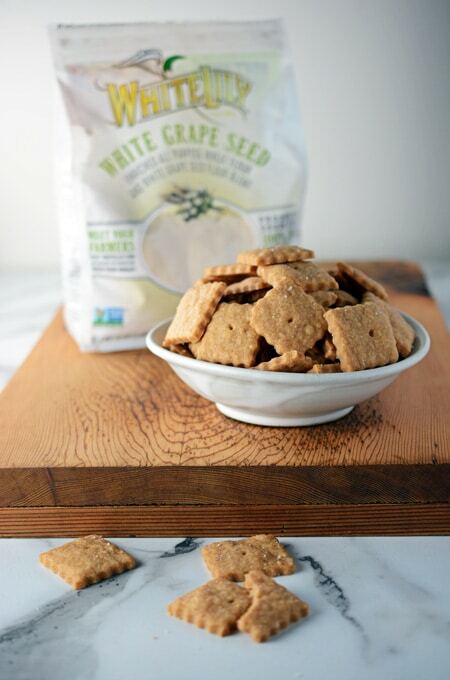 I received a package of White Lily All Purpose Wheat Flour in my August Degusta Box. Degusta Box also sends recipes using some of the ingredients in the box each month. 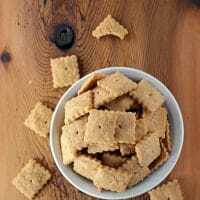 One of the recipes was these Homemade Cheddar Cheese Crackers that I slightly adapted. This recipe is easy and super fun to make. 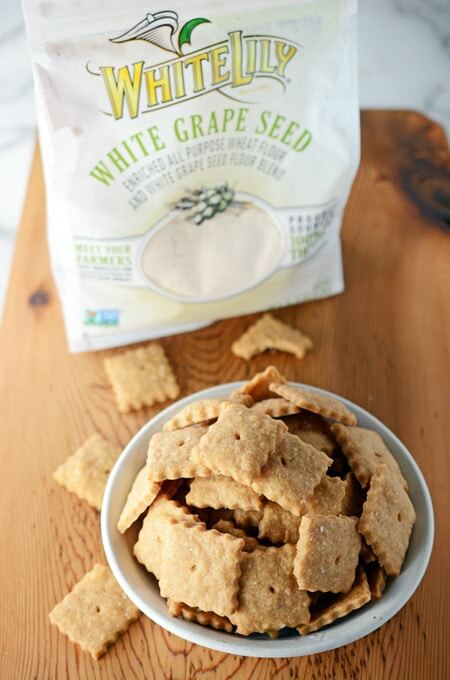 You’ll never need to buy those processed cheese crackers from the store again! Come hang out with me on Facebook, Instagram, Twitter, Pinterest and Yummly! Combine flour, salt and cayenne pepper in a food processor fitted with the chopping blade. With the lid on, pulse about 5 times to blend the ingredients. Add cheese and butter. Process until dough forms. Wrap the dough in plastic wrap and chill for 30 minutes in the refrigerator. Heat oven to 350 degrees. Divide dough in half and roll dough to 1/8-inch thickness on a lightly floured counter. Cut into 1-inch squares using a pizza cutter or pastry cutter. Sprinkle with sea salt. 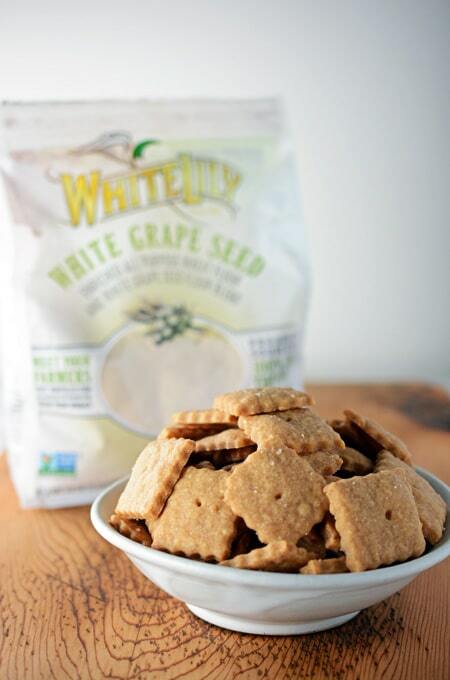 Make a small hole in the centers of each cracker using a metal or wooden skewer. With a spatula, place crackers on a baking sheet lined with a silicon baking mat or parchment paper. Bake for 12 to 13 minutes or until the crackers begin to turn light brown. Cool on the baking sheet for 3 minutes. Remove crackers and place on a wire rack to cool completely. Store crackers in an airtight container. Repeat this process with the remaining dough. If you do not have a food processor, the dough can be mixed in a large bowl, then kneaded on a flat surface until well blended. Dough will be very stiff. These look awesome! I used to like storebought cheese crackers but rarely bought them because the artificial colors weirded me out. I can’t even imagine how much better these must taste, made with real cheese!